Well, you wanted to know what I used, here is one product that I do use. Why? Because it does have ingredients that are proven to work on the hair and penetrate the hair shaft . . . and I only use it because they are natural ingredients. Ingredients: Water (aqua), Glycerin, Hydrolyzed Soy Protein, Stearalkonium Chloride, Guar Hydroxypropyltrimonium Chloride, Cetearyl Alcohol, Polysorbate 60, PVP, Trimethylsilyamodimethicone, Hydrolized Wheat Protein, Hydrolized Silk, Cetyl Alcohol, Methyl Gluceth 10, Octylmethoxycinnamate, Panthenol, Jojoba Oil (Simmondsia Chinensis), Safflower Oil (Carthamus Tinctorius), Macadamia Ternifolia Nut Oil, Babassu Oil (Orbignya Oleifera), Borage Seed Oil (Borago Officinalis), Evening Primrose Oil (Oenothera Biennis), Dog Rose Hips Oil ((Rosa Canina)), Propylene Glycol, Caprilic/Capric Triglyceride, All Spice Extract (Pimenta Dioica), Lemongrass Extract ((cymbopogon schoenanthus)), Hydroxyethylcellulose, Methylparaben, Propylparaben, Potassium Sorbate, Citric Acid, Fragrance (parfum), Annatto (CI 75120), Ext D&C Violet 2 (CI 60730), D&C Orange 4 (CI 15510), FD&C Red 40 (CI 16035), Vegetable Oil. I have already known that proteins from oils such as rice bran, wheat, soy, jojoba is good for your hair (and has been proven to be good for your hair and skin). 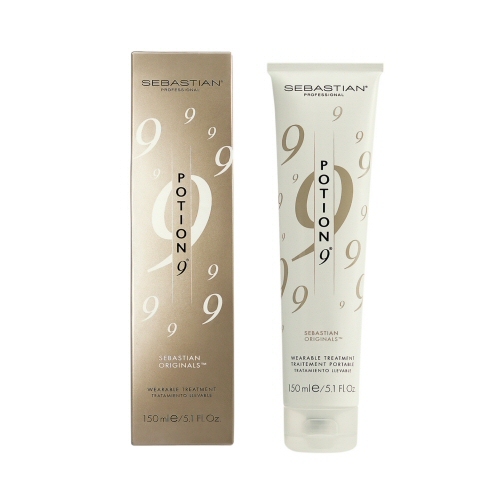 So when I looked at the "9" secret ingredients in the product, I was happy to see that Sebastian was actually using great quality ingredients and was honest about their product description. VERY REFRESHING TO SEE. Finally, a positive product post right! Of course we could do without the usual fragrance and colors though! And I complain about these in ALL products. Personally, I'd recommend using some natural oils like rice bran, jojoba in the hair, especially something good to remember for this summer coming up. If your at the beach put some of these oils in your hair and let the sun bake 'em in. REMEMBER: A little oil goes a long way. You'll be surprised to see just how REALLY OILY and THICK rice bran oil really is. Cost also is not too bad. The product should last a long time. "put some of these oils in your hair and let the sun bake 'em in": What kind of doctor advises folks to BAKE IN THE SUN?! Shame on you! Wear brimmed hats in the sun, to protect *both* the skin AND the hair from sun damage! Oh, the pitfalls of being a hasty reader. Instead of jumping the gun to write a hasty (and nasty) comment, you should re-read the post. I would NOT advise anyone to "Bake in the sun". Read the post again. "If your at the beach put some of these oils in your hair and let the sun bake 'em in." 'em is short for 'them' and 'them' refers to the oils added to the hair! I use this stuff now for years and I like it a lot. I agree, it does last for a long time which makes it a good buy. Dr. David I agree, some people are just ready to be negative. I've used hot oils (VO5) in my hair during the summer and let the summer heat "bake" the oils in my hair. It's really an amazing way to help your hair become healthy and moisturized. rice bran oil is a definite winner! 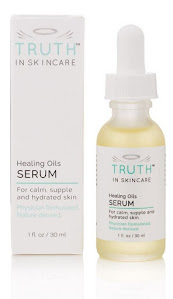 Proteins found in this oil has been proven to penetrate the hair and skin. Peptides from rice bran have also been proven to help moisturize and decrease fine lines. It's great when you can see something so natural really make a difference in nourishing the body. Some other hair oils I'd recommend are wheat, soy, and jojoba (which is really a liquid wax).